Roomba, Geminoid F the world’s first humanoid film actor, or Chinese “robot goddess” Jia Jia—if the robotics age is well and truly underway in the civilian world, you can bet that in the military world this is already yesterday’s news. 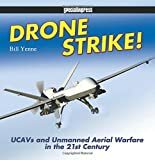 Author Yenne has had this topic on the brain for years now, beginning with Attack of the Drones (2004) and then the 2010 book Birds of Prey: Predators, Reapers and America’s Newest UAVs in Combat to which this newest is a follow-on. 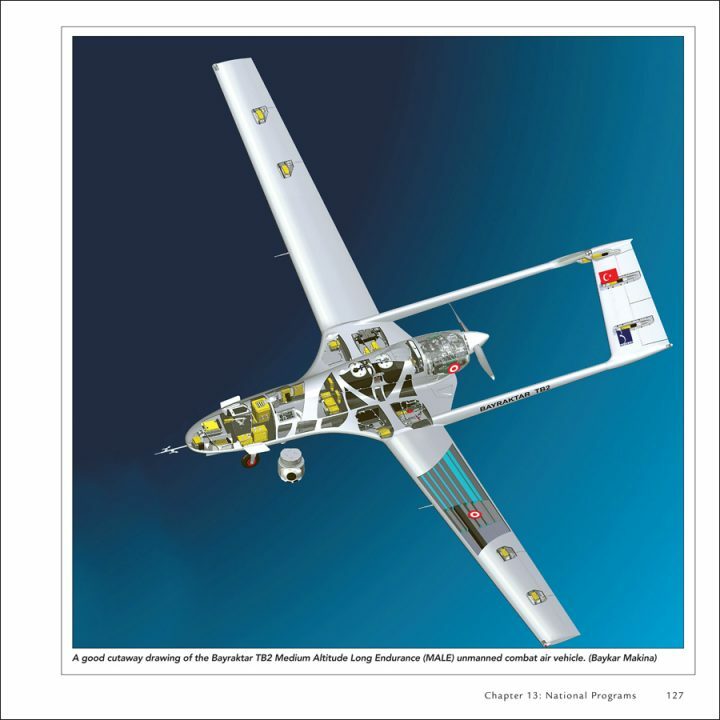 While the public really only started paying attention to unmanned air vehicles after the Global War on Terror became a “thing” with Operation Enduring Freedom in 2001, aviation folk know such machines predate the Wright brothers. Yenne begins his book near enough to that time, with the 1908 Kettering Bug, and this comment neatly lends itself to a segue: people who read books in more than a casual way and actually “work” with the material will laze in (a term, incidentally, you will encounter often in the context of drones) on their target by looking first at the apparatus of a book: index, table of contents, notes etc. If the right buzzwords are there, they may then actually deem the book worthy of the time it’ll take to properly read it. At first glance, this book has an impressive-looking, multi-page index. At second glance, it’s only people, places, publications. At third glance, the reader who already knows enough about a subject to know what keywords to expect will observe that many of these—such as the aforementioned Kettering Bug, or the earlier Langley Aerodrome (which as it turns out isn’t mentioned anywhere)—are absent from the index and thus possibly dismiss the book as superficial, which would be a bad call. Yenne may simply not have wanted to repeat himself; also, this new book primarily explores tactical and operational aspects rather than design/development or technical themes. 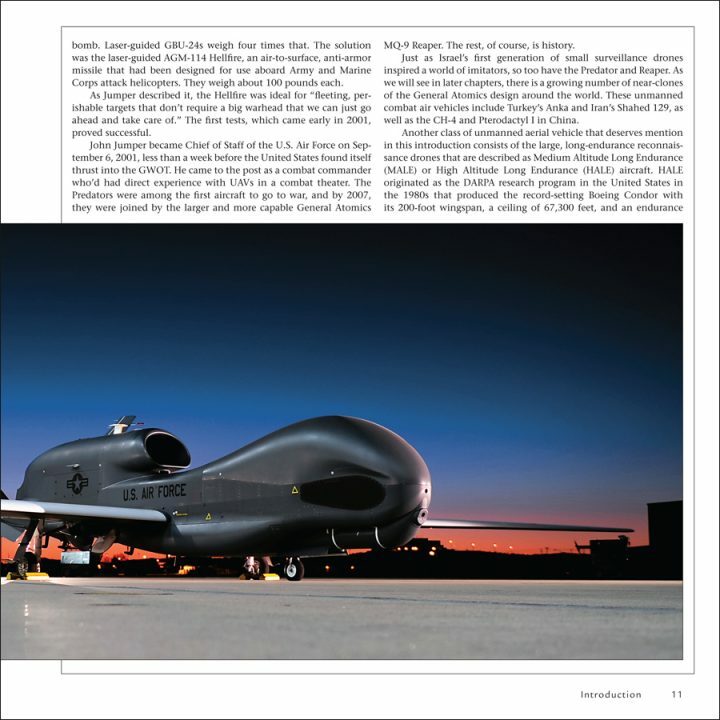 Early on, the author directs attention to the multitude of names and acronyms prevalent in the drone world and this illustrates perfectly how even the professional community struggles with pinning down exactly what an unmanned vehicle is and does. Acronyms, by the way, are a constant companion in this book but, absent a Glossary, are spelled out often and repeatedly and not just the first time they’re used. 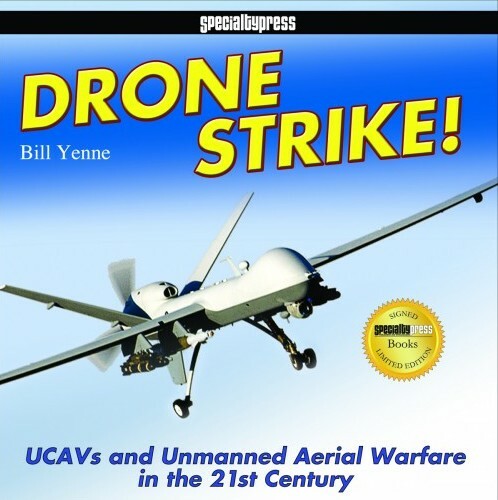 GWOT—the Global War on Terror—is the dominant theme and the book devotes a good deal of the early chapters to explaining operational aspects that are, while not unique to drones, especially critical to their functioning: bandwidth, as in data transmission rates, which has an immediate effect on something the newspaper reader rarely hears about, the Kill Chain. Not only does it take time for data to travel from the airborne drone to its operator who may be thousands of miles away but then also up and down a chain of command that not only has to evaluate operational but also political concerns. It isn’t until Ch. 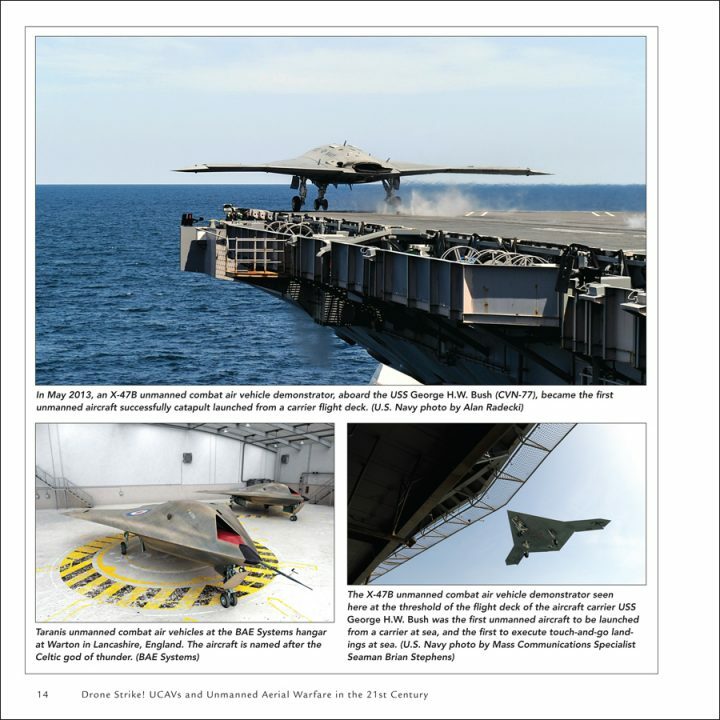 7 that the focus shifts to the actual machines and readers may well be surprised to learn just which countries build their own (an entire chapter on China but nothing/little on Russia) and operate or share them (for instance, some RAF drones are operated by RAF personnel from a base in the US), as well as non-/collaborative programs, and logistics. 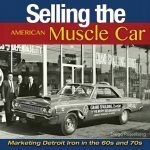 A great number of principals have been interviewed and/or are quoted and the book is as current as mid-2016 (with the caveat that many items are presently and will remain for some time classified). 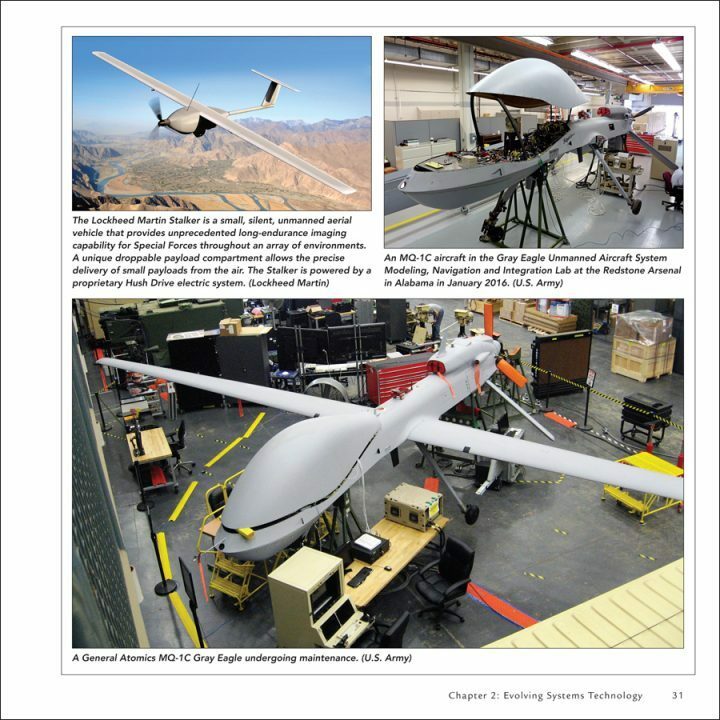 The discussion of the tactical pros and cons for switching from initially unarmed drones in reconnaissance or supply roles to “combat air vehicles” says a lot about the changing picture of armed conflict. 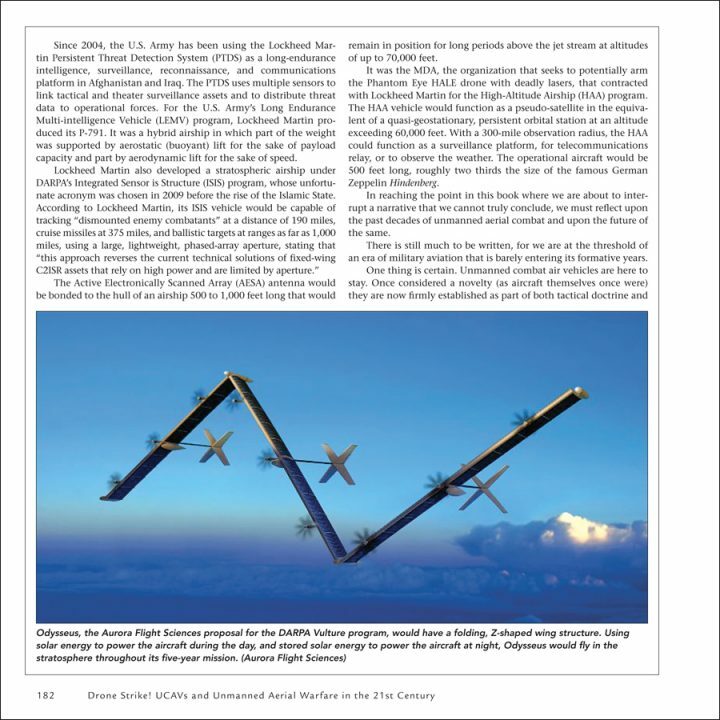 The alleged 2011 downing and subsequent reverse-engineering by Iran of an RQ-170 Sentinel is discussed, and the future of unmanned aerial combat examined. 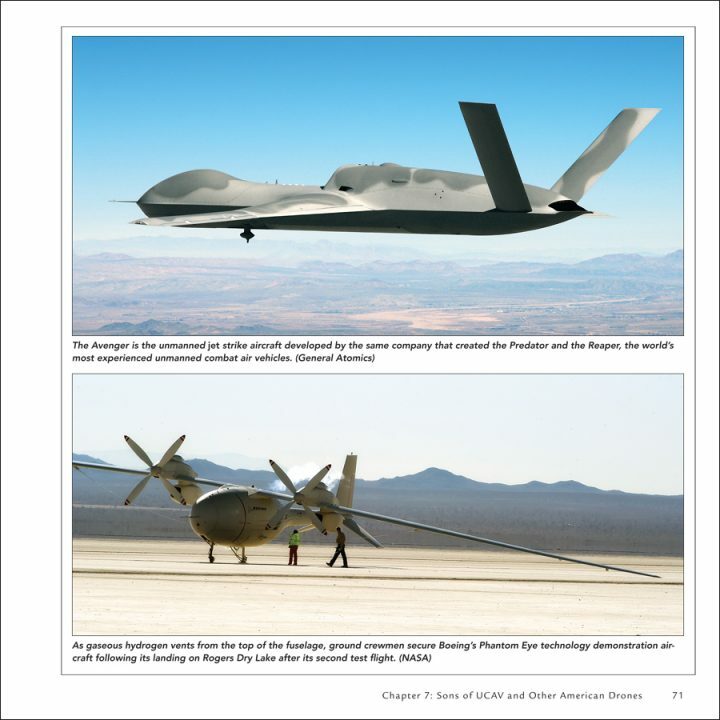 Appended are drone specs by country of origin and designations of US vehicles. The book has as many illustrations of people (from giving speeches [boring!] to operating flight controls to ground ops) as it does of flying apparatus and there are a handful of artist’s impressions of items that cannot (or should not) be photographed. It is a complex subject and Yenne, with dozens of books to his name already, ably corrals it. If you know his body of work you will not find his celebrated “cinematic” writing style in evidence here as the subject matter is simply not conducive to sweeping narrative presentation. As most books by this publisher, the first 100 copies were signed by the author.